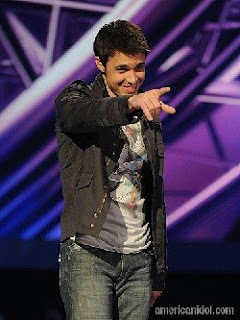 America has decided and Kris Allen is new American Idol! Seeing their last performance last night, Adam Lambert was really magnificent. I even thought Kris seemed amateur compared to Adam.But my heart belongs to Allen. He was my all time fave for this season,and seeing him bag the title left me ecstatic! Go Kris! I was almost in tears when he said: Adam, deserves this.I know seeing him win the title is a big surprise to everyone. Most of the judges favored Adam during last night's performance. I believe both of them will make it big. Gathering the most number of votes from more than 100 million who called and texted,Im sure many are awaiting his first album already.